Hospitality Sales & Marketing Association International ((HSMAI) has awarded its Gold Adrian Award to Visit Cheyenne and Madden Media for their 2013 Digital Marketing Campaign. Applicants were judged by top executives from all sectors of the hospitality industry. 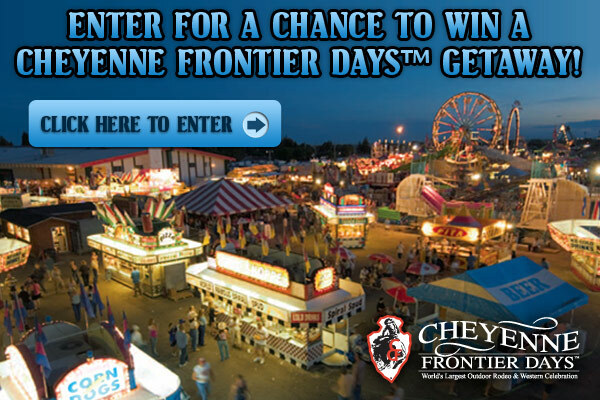 Visit Cheyenne&apos;s integrated campaign promoted the Cheyenne area through a Cheyenne Frontier Days contest. The campaign used a multi-faceted approach to gather leads, gain e-newsletter signups, increase website traffic, generate Facebook fans, and extend overall branding. One of the ads used in the campaign is shown to the right. "Visit Cheyenne is very pleased with the results of our online campaign executed by Madden Media," said Darren Rudloff, CEO of Visit Cheyenne. "We thank HSMAI for this honor and Madden Media for their excellent work on our behalf." The Visit Cheyenne campaign was chosen as a Gold winner from among 1,200 applicants from around the world competing in various categories. The award will be presented Feb. 24 at the 57th annual Adrian Awards in New York, the world&apos;s largest and most prestigious travel marketing competition. Visit Cheyenne&apos;s mission is to promote the Cheyenne region as a travel destination for both leisure and business travelers. Visit Cheyenne previously won a Bronze Adrian Award in 2012 for the Convention Bureau&apos;s marketing efforts in 2011.